An extra hearty breakfast that’s good any time of day. 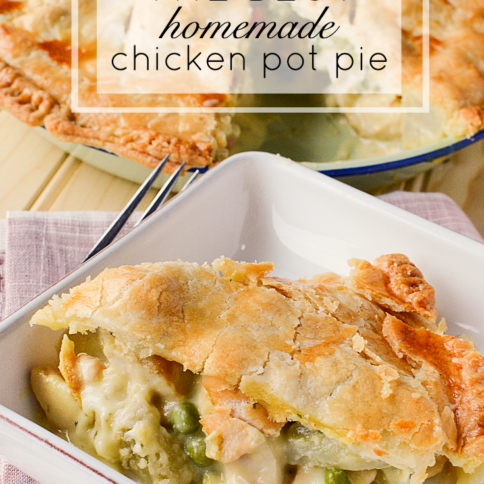 For this recipe, I am partnering with the folks from HATCH for Hunger. Hundreds of millions of people around the world are chronically undernourished? HATCH has partnered with grocery stores and farmers to get eggs into local food banks. Protein-rich eggs are one of the most commonly requested products at local food banks, but are usually in short supply. Now let’s talk about what to cook with all these lovely eggs…. 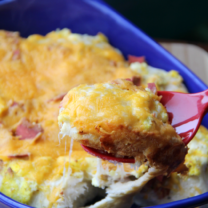 Have you been looking for a big, hearty breakfast to feed your family? Well, here’s one everyone is sure to love: a family-sized brunch dish that you can start the night before. 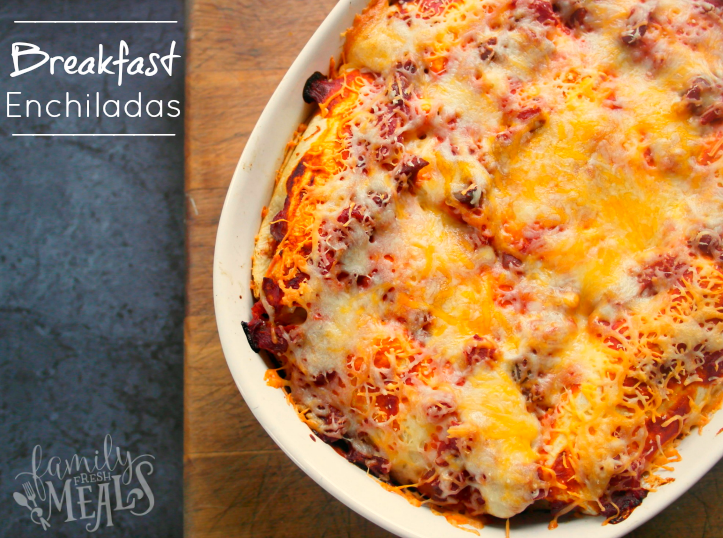 This Breakfast Enchilada Overnight Bake is a hearty, meaty, cheesy casserole that can be completely prepared ahead of time and refrigerated overnight. That way, when you get up in the morning, all you have to do is pop it in the oven while you’re still in your jammies. By the time everyone else gets up and starts clamoring for food, breakfast (or brunch, if your family likes to sleep in) will be hot and ready to serve. Of course, you don’t absolutely have to let this dish sit overnight before baking it. You can always prepare it in the evening, put it straight in the oven, and have it for dinner instead of breakfast. 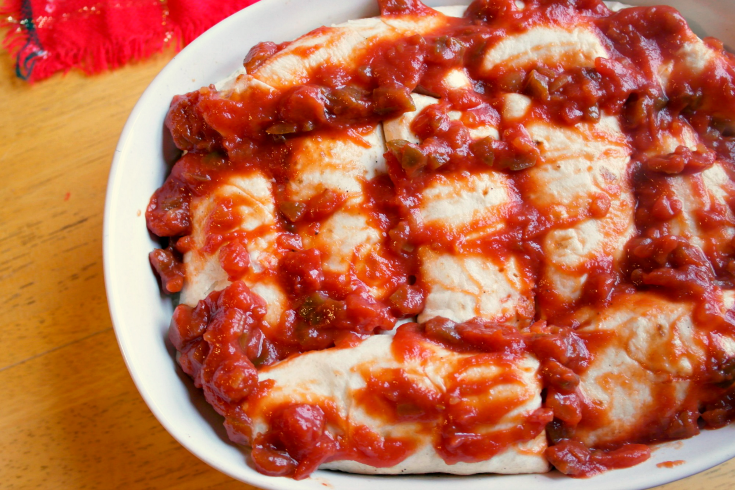 And, since this dish also freezes well, you can choose to prepare and bake it ahead of time, freeze the whole thing, and then pull it out and heat it up for an easy meal at any time of day. So no matter how hectic your day is, you always have one meal ready to go. 1. In a medium sized bowl mix together rice and corn. Place mixture in the bottom of your casserole dish. Pour half of your salsa over the rice mixture. 2. Next, place a small scoop of steak and scrambled egg into a tortilla. Top with 1/4 cup of shredded cheese. 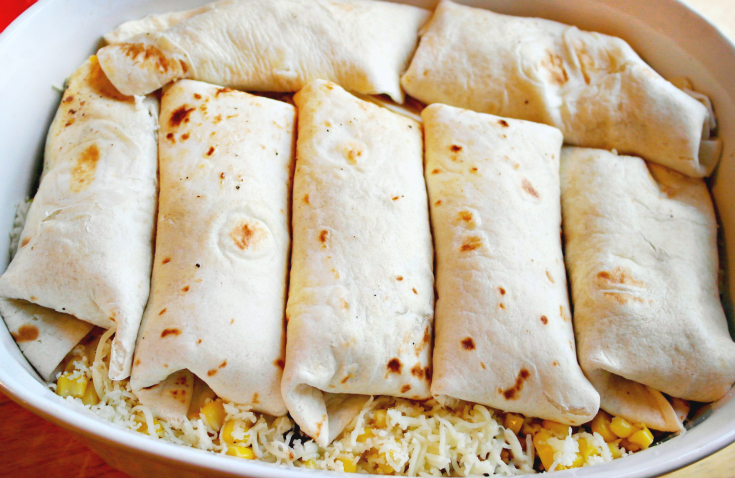 Roll the tortilla by folding over once, then fold in the ends and continue rolling. 3. 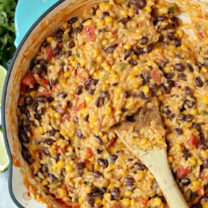 Place on top of the rice, corn and salsa. Assemble remaining tortillas. 4. Top with the remaining salsa. Cover with aluminum foil and refrigerate overnight. The next day, preheat the oven to 350. Bake covered for about 20 minutes, remove foil, top with remaining cheese. Bake an additional 10 minutes. In a medium sized bowl mix together rice and corn. 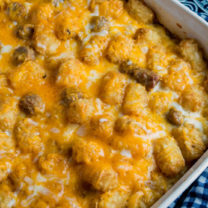 Place mixture in the bottom of your casserole dish. Pour half of your salsa over the rice mixture. 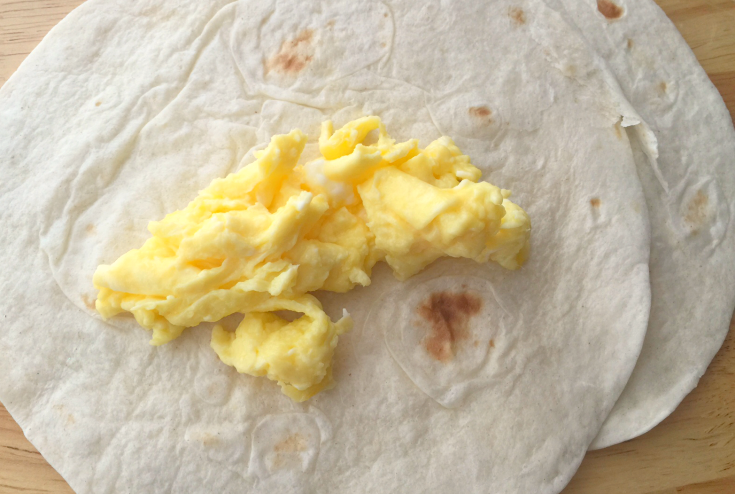 Next, place a small scoop of steak and scrambled egg into a tortilla. 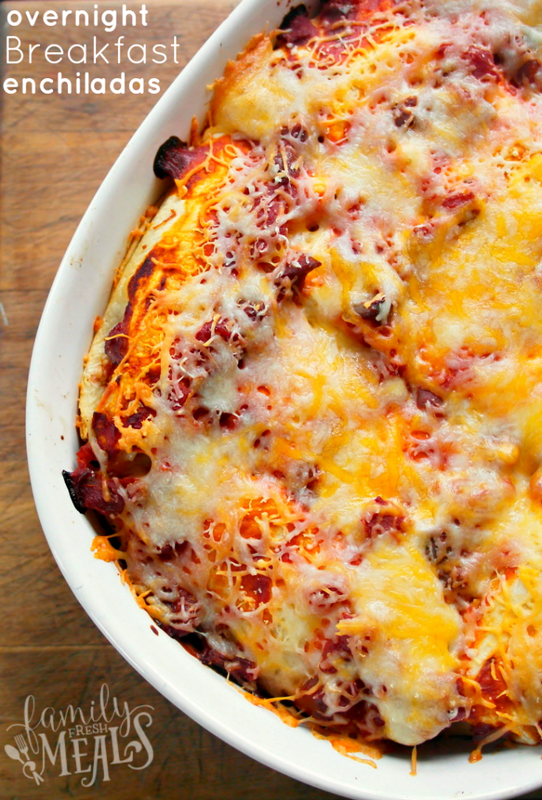 Top with ¼ cup of shredded cheese. 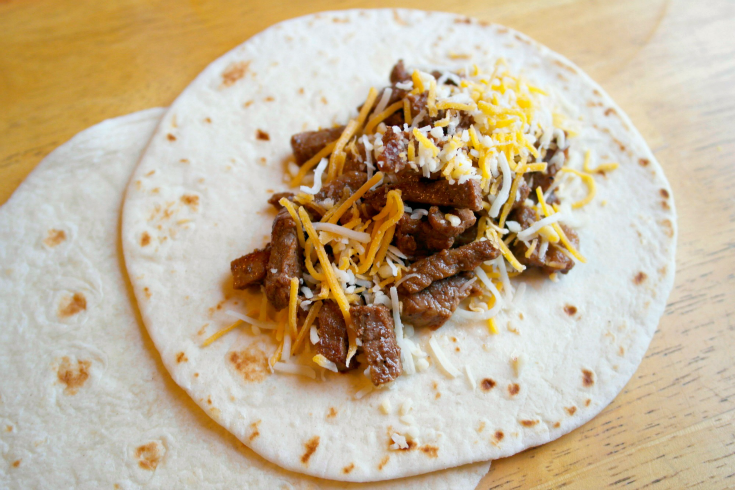 Roll the tortilla by folding over once, then fold in the ends and continue rolling. Place on top of the rice, corn and salsa. Assemble remaining tortillas. Top with the remaining salsa. Cover with aluminum foil and refrigerate overnight. The next day, preheat the oven to 350. Bake covered for about 20 minutes, remove foil, top with remaining cheese. Bake an additional 10 minutes. Looks really good. Pinned. Great recipe for family reunions!!!!!!! This looks so cheesy and delicious! Gotta love enchiladas for breakfast! 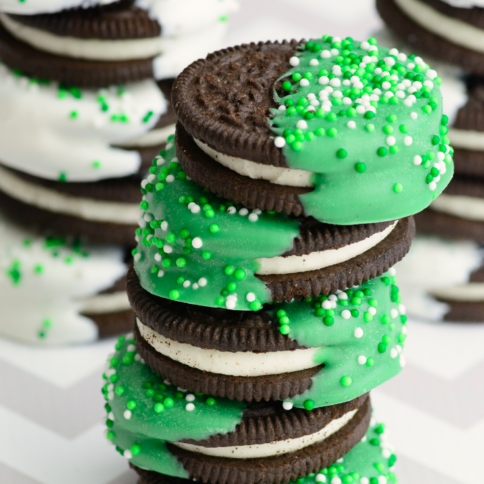 I made these and we liked them! I only had large tortillas so I used four instead of the 8-10 small ones in the recipe. I also used frozen corn because I didn’t have canned. Otherwise I followed the ingredients. After assembling, I froze it for two days and then baked it from frozen. It worked perfectly! The tender scrambled eggs were a great stand in for the typical heavy, sour cream sauces in many enchiladas, and I liked the rice underneath (I’d never tried that with enchiladas before). I’ll make these again, although I’ll add a little more salsa on top for moisture and flavour; we aren’t spicy people but we thought it could use a little more both to smother the tortillas a bit better and for more flavour – or perhaps some seasoning or salsa inside the tortillas as well. Thanks for the great recipe! Would you please give the size of the casserole dish to use ? I had 3 sizes out before I figured out which one to use. The quart size would be helpful. I made it as directed but read the hint from someone to use more salsa. We liked it. I am going to modify it to feed 35. I will use the corn and rice like you did adding the salsa then I will layer a few tortillas to cover. Steak is to expensive to use for that many so I will scramble sausage and put that , the scrambled eggs and cheese on top. Next a layer of tortillas and the salsa and cheese. It will be easier to cur into squares and serve. Liked the flavor but th.is will make it easier to serve a large group. To make it gluten free I will use the smaller corn tortillas. Thanks for the great idea. I meant to say steak. My apologies!! !